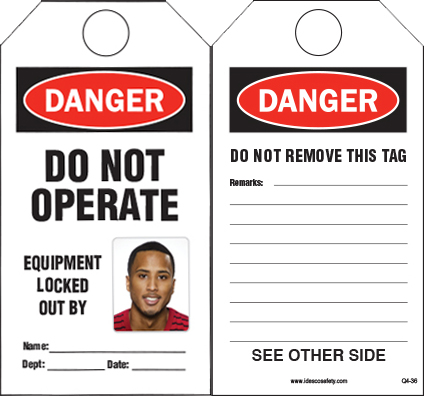 Make sure all your workers know exactly who is responsible for any lockout and who is authorized to remove the lock and re-start the machine. 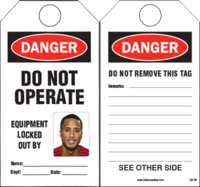 These Photo ID Safety Tags and Padlock Labels make it easy for everyone to see exactly which person has locked out and tagged out the equipment. 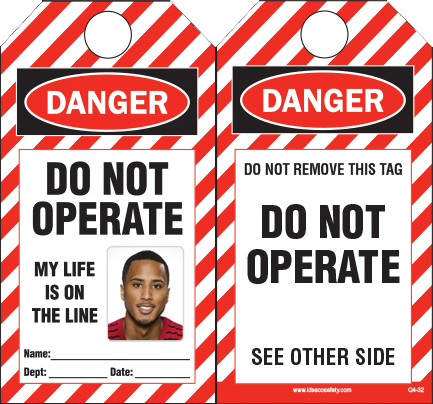 Buy a package of DIY Photo ID Safety Tags or Padlock Labels. Upon purchase of a package of DIY Photo ID Safety Tags or Padlock Labels, you will also receive an email with a link to download a PDF of our custom, easy to use DIY Photo ID Imprint File. Take head-shot pictures of your employees using a camera or smart phone and store the pictures on your computer. 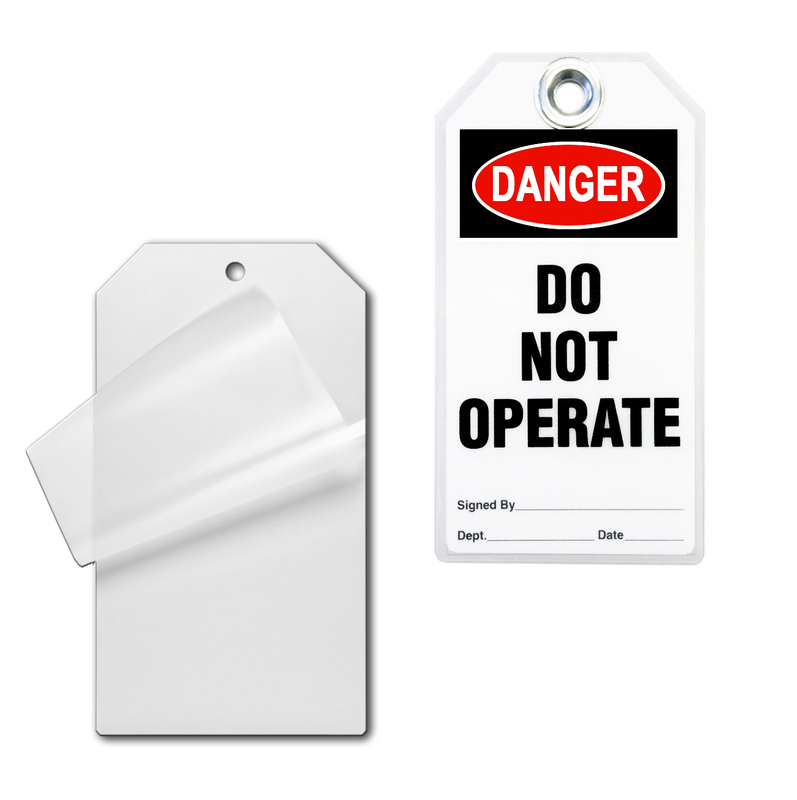 Once you have received the package of DIY Photo ID Safety Tags or Padlock Labels, open the DIY Photo ID Imprint File. Click on the Photo Box and browse to find the employee's photo on your computer. Click Select to choose the file. Click to fill in employee's Name, Department and Date. 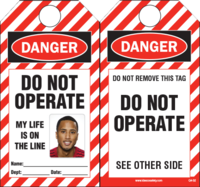 Repeat as needed for additional Safety Tags or Labels. Insert DIY Photo ID Safety Tags or Padlock Labels sheets into your printer (you may use test sheets to determine orientation in paper tray). 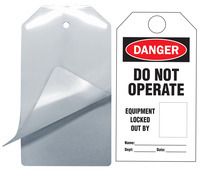 Use the perf's or kiss-cut to remove your custom DIY Photo ID Safety Tag or Padlock Labels from the sheet. 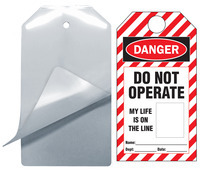 For Lockout/Tagout compliance, use Idesco Safety's Desktop Pouch Laminator to encase your DIY Photo ID Safety Tag in rigid plastic using our Q-Tag Laminating Pouches and apply an extra-strong metal Grommet to finish the Safety Tag using our popular, easy-to-use Grommet Pliers! 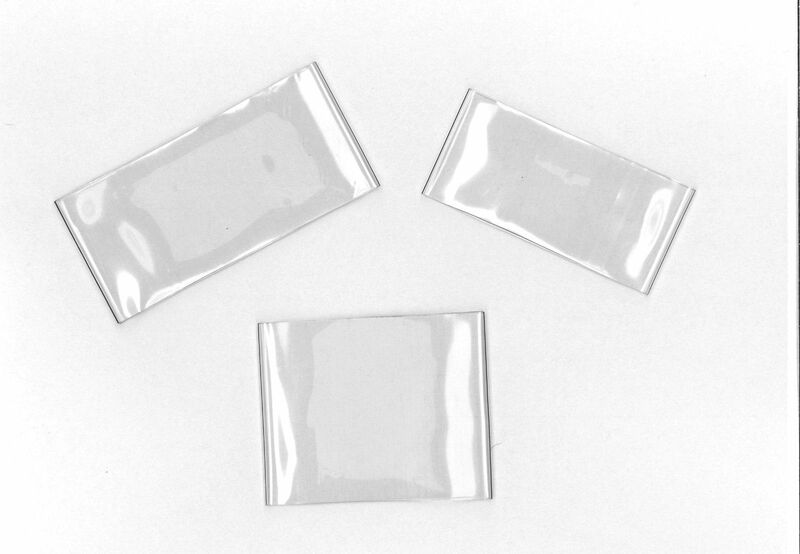 For added protection of your DIY Photo ID Padlock Labels use our special Clear, Shrink-to-Size Padlock Sleeves. These popular padlock protectors are easy to apply using our Industrial Heat Gun, or any household blow-dryer. 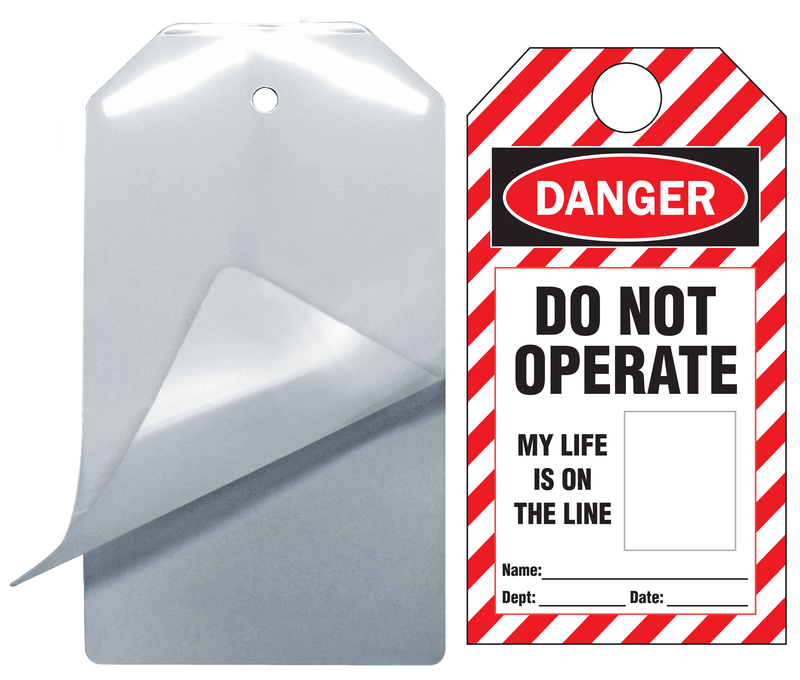 DIY Photo ID Safety Tag and Laminating Pouch Kits "My Life Is On The Line" (20 Safety Tags and 20 laminating pouches per package) Tags 2-7/8" x 5-3/8", printed 4 labels on 8-1/2 x 14; Laminating Pouches 3-1/8" x 5-5/8"
DIY Photo ID Safety Tag and Laminating Pouch Kits "Equipment Locked Out By" (20 Safety Tags and 20 laminating pouches per package) Tags 2-7/8" x 5-3/8", printed 4 labels on 8-1/2 x 14; Laminating Pouches 3-1/8" x 5-5/8"